Lump Sum vs Structured Settlements – Which one to Choose? 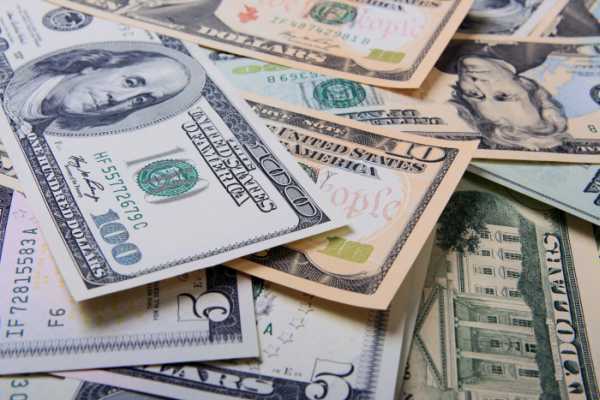 Lump sum payment is the large aggregate compensation amount offered to a claimant party who has suffered a personal injury loss from the defendant party against whom the lawsuit is filed by the claimant and this settlement is made in the court of law. On the other hand, structured settlement is the special form of compensation amount payable for any form of damage done to a party (like injury by medical negligence) by another party against whom the victim files a lawsuit. The unique feature that distinguishes it from lump sum payment is that it consists of one part of the amount paid to the claimant initially and the other part of the larger amount which is paid out to that party through installments instead of paying the whole compensation as a lump sum. These installments can be variable depending on the agreement between the two parties like – a smaller annual amount for next 20 years or a larger amount per year for next 10 years etc. The amount for initial few years could vary from the installment amount for years thereafter to the extent that the claimant can also choose to have no payments for few initial years and fixed annual installments thereafter to fund retirement needs. Guaranteed stream of Income to People – The Periodic Payment Settlement Act of 1982, ensures that the claimant receives a guaranteed income stream over the period of settlement agreed upon by the parties. Any such agreement is entered into in the presence of the court of law and has thus, all the legal backing required. Whereas the lump sum amount is a one-time payment. It does not continue as a stream of income in installments like structured settlement. Avoids windfall losses – For someone who has never handled too large an amount at once, chances are that the person might lose that lump-sum money due to his poor financial knowledge and bad financial choices. The claimant can avoid this risk by agreeing upon settlement of his claims through structured settlement wherein payment in annual installments ensures a continuous flow of income and avoids any risk of windfall losses due to a bad financial choice. Returns on the money invested – A large investment of the entire lump sum amount can yield very high returns whereas in case of structured settlements, since smaller amounts are received in installments, its investment will not yield much returns. Moreover, receiving money in fixed installments in a pre-decided schedule leaves lesser degree of flexibility for the person. Tax-free payments – When a large amount is received in lump-sum, it is bound to attract large tax liability but the Internal Revenue Service Code Section 104(a)(2) assures that the settlement payments received by the claimant from the contract are tax-free and even the interest rate received on this amount are free of all taxes. Highly flexible to suit the needs of the claimant – The lump sum amount is received only once but then they offer no flexibility to claimant in terms of receiving the payments. Thus, they are prone to fall into wrong investment avenues as a result of poorly made investment or spending decisions by the claimant. But structured settlements are agreed upon by planning and negotiation . Thus the claimant can involve himself along with his attorney into the drafting of such an agreement to suit his financial requirements. There is no end to the possibilities and thus, the parties can devise payment schedules in any way that they want. As discussed before, the claimant can also choose to have no payments for few initial years and fixed annual installments thereafter to fund retirement needs. Selling off the settlement for lump-sum amount – It is very important to understand that payments in installments cannot be used for funding a large investment such as buying a house or paying a large sum for educational purpose or for medical needs. The claimant does not need to be forever stuck with the agreed upon mode of receiving payments in case he wants the whole of the settlement amount together. He has the option of selling his structured settlement right to receiving money in installments to another insurance company or some cooperation that deals in structured settlements in return for the huge lump sum amount, slightly discounted, to suit his urgent financial needs. Secure and safe – The insurance company backing this stream of annuities is generally highly rated by the credit rating agencies so agreeing to a structured settlement obviously has a negligible risk. This makes these structured settlements secure and safe due to almost negligible risk. On the other hand lump-sum may offer the security in terms of freedom to invest or use the money as per the claimant’s own wishes. There is no restriction of when and how much money to use. Built-in Inflation Factor – The lump-sum money does not offer any protection from rising inflation. Once received, the payment is final. But a structured settlement annuity offers the additional option to the claimants to receive the money as long as he lives and with an in-built inflation factor to guard him against rising prices with absolutely no additional costs or charges. Hence, both, structured settlement contract and the lump sum contract, if drafted keeping into account everyone’s best interests, can be beneficial to all parties. But both its benefits and demerits must be kept in mind before deciding whether to opt for structured settlement or lump-sum payments.